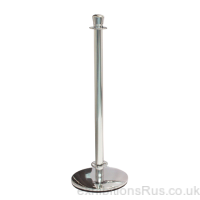 Rope and post barrier - queue management system Rope and post barrier queue management system. 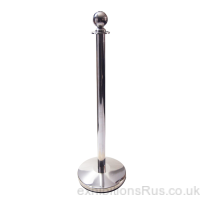 A smart chrome cordoning system to give the correct visual impression for all budgets. 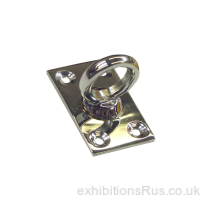 Choose from modern chrome finish tor traditional brass with heavy weight base plates. 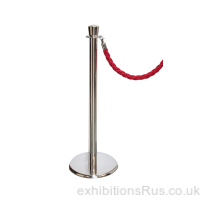 Red rope as standard, 1.5m lengths, others colours and lengths are available and post sign tops too, please call for further information and supply times, 01256 768178. Made to the highest standard.